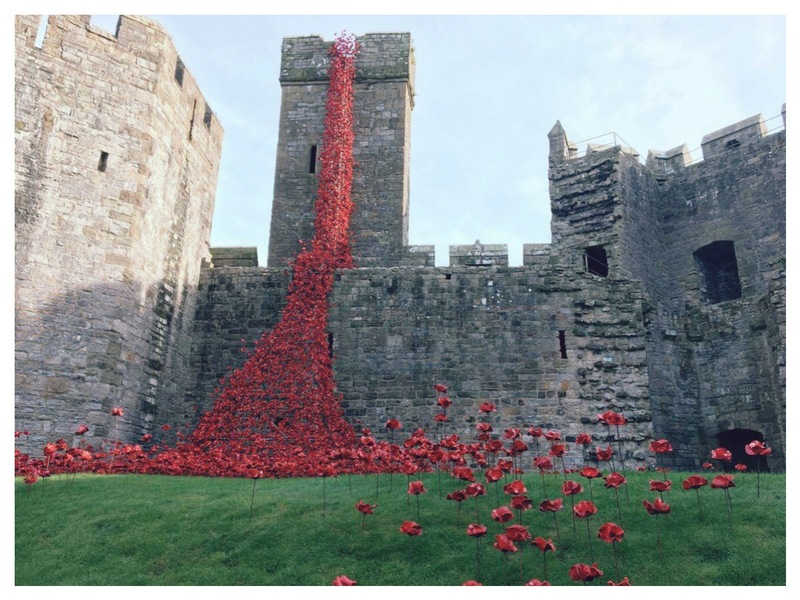 “The Weeping Window” is currently on display at Caernarfon Castle. Unfortunately I am unable to make it to see it in person but my husband was able to take the girls to see it. I apologise for the quality of the photos but don’t let that put you off. It’s an impressive display and of course is very appropriate for the time of year with Rememberance Day being today. 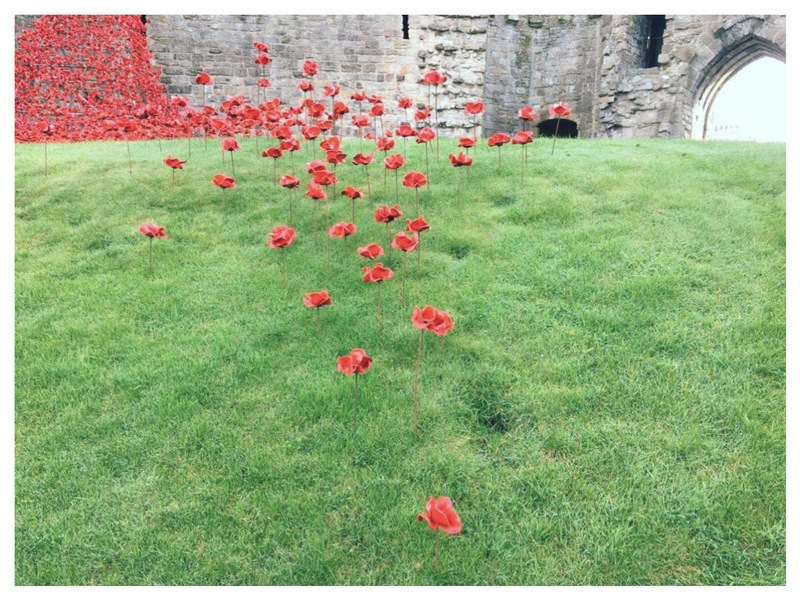 “The Weeping Window” can be seen at Caernarfon Castle up to November 20th. Whilst it’s free admission you are still required to book tickets to see the exhibition. Although I have also been told you can just turn up and you might be allowed in – but don’t count on it! The Poppy – A Political Statement? Seeing these photos and the recent FIFA ban, I can’t help but think why the Poppy is considered a political statement these days. 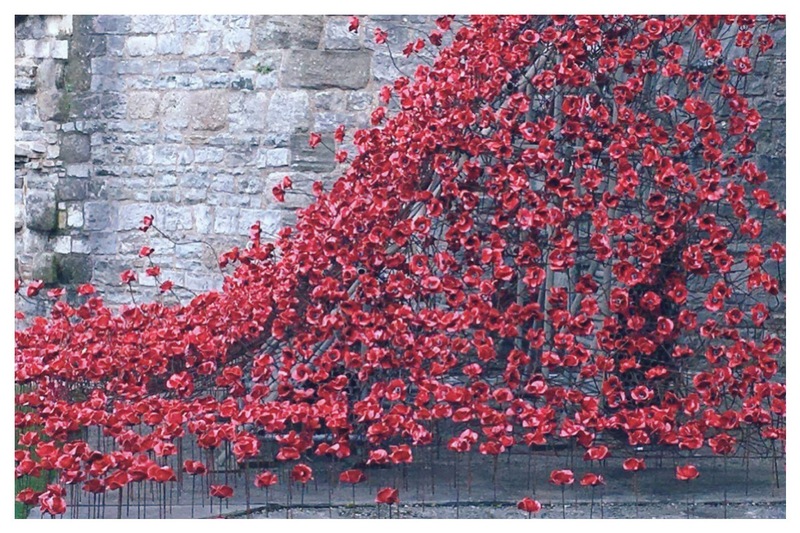 Have you been to see The Weeping Window? I don’t see it as a political statement either. It’s a mark of respect for soldiers that died in war. Considering that Poppy Appeal started after WWI and we’ve been through a second WW, it’s hardly any politics left in the meaning of the poppy. 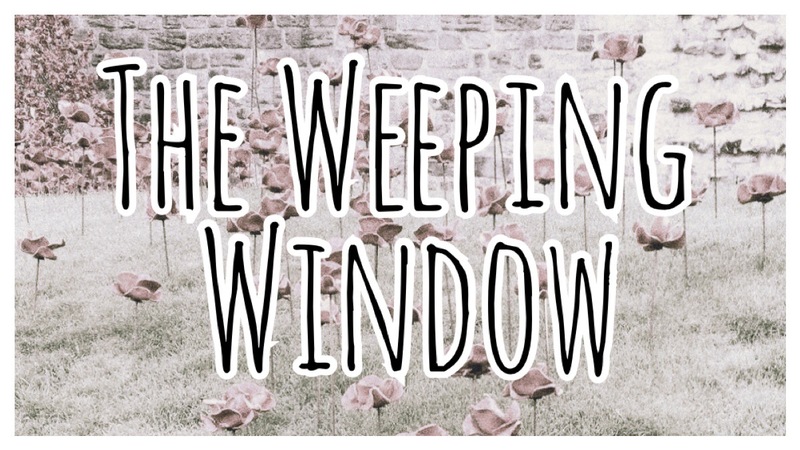 Have you seen the white poppy? I quite like the idea of the white poppy, which remembers not just the fallen soldiers but also the fallen civilians.